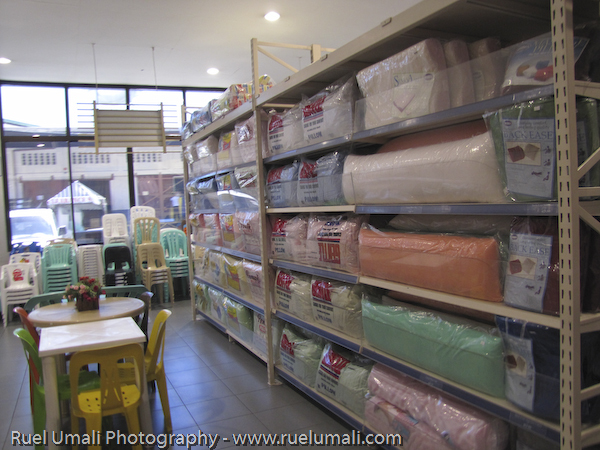 I am excited this coming weekend (August 17 to 19, 2012) for the SM Megamall’s Mega Food Sale! This is my first time to attend such event. Even if it was raining at that time, we still manage to attend the Ultimate Taste Test and surprisingly there were a lot of people enjoying the food in the event. I have been into cycling for several years already and when it comes to protective gears like helmets and optics, Spyder‘s sports brand is leading in performance and quality I have known for. Recently, Spyder hosted a week long event at Festival Mall, Alabang campaigning a more exciting, super active and healthier activities this summer entitled “Spyder – Charge Your Summer 2012″. The main objective of the program was to orient enthusiasts the value of using additional safety gears like helmets, shades, eyewear, sports watches and other accessories for a fun-filled, enjoyable yet discipline sports engagement. 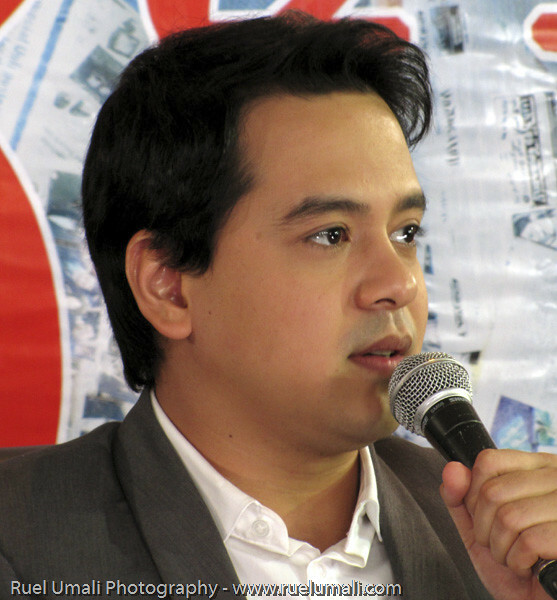 One can expect also a sale of Spyder products from March 26 to April 1. To spice up the event to mall-goers, Spyder designed a resort-like stage to capture the summer ambience and featured series of activities like hourly raffles, photo-ops on standees/ photowalls and trivia games. Part of the program were also the introduction of various sports clinics from – motorcycling, cycling, running and triathlon in partnership with Safety Riders, Philippine Cycling team and among others respectively. A special event announcing the winners of Spyder-Charge Your Summer Blogging Contest were also awarded. 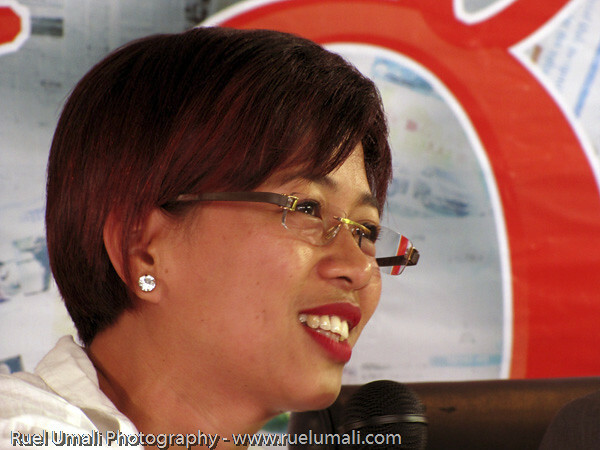 Top blogs were featured on the Team Spyder website receiving a cash price of P50,000 and free beach vacation for two. “Spyder-Charge Your Summer 2012” is an event of Spyder Helmets and Optics sponsored by Skechers Go run, No Fear, Gatorade, Sun Cellular, Kawasaki, All Terra Cyclery, and supported by Total Fitness, Multisport, One Sport, Inside Racing, and Weekend Warrior Magazines, takbo.ph, swimbikerun.ph, motorcyclephilippines.com, clickthecity.com, and juice.ph. 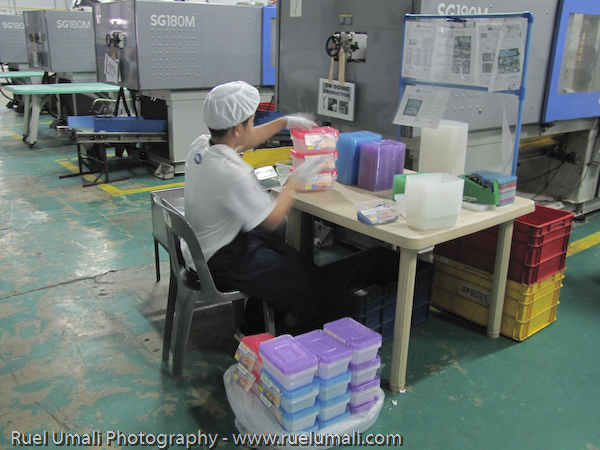 Spyder Helmets & Optics is distributed in the Philippines by Roshan Commercial Corporation. I got to witness the launching of Eden cheese new endorsers’ Judy Ann Santos-Agoncillo and daughter Yohan. With the consistent creamy taste and nutritious content of Eden Cheese, Judy Ann is the right person that can share this to Pinoy moms like her. Kraft, owner of the brand, says Juday represents an Eden mom taking family as as her top priority. With Juday’s endorsement, Filipino moms will be encouraged to make their family moments more special with Eden Cheese by sharing the taste the “palaman” they enjoy, but it also helps them meet their nutrition requirement for the day. 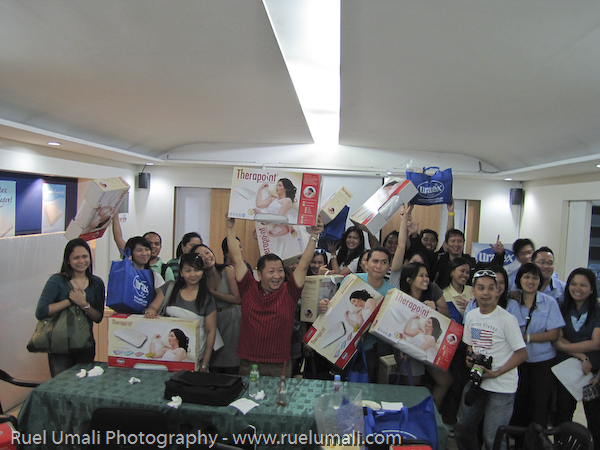 Judy Ann is also very selective when it comes to brands that she endorses. Choosing Eden Cheese is not only supporting nutrient in taste but also being part of Filipino favorite for many years, trusted by generations of moms. Until now, Eden’s creamy cheese got those Pinoy taste that she love to share to her kids but more importantly, she likes the fact that it has Lusog Lakas nutrients, or those important nutrients which you can find in a balanced meal. In the first place, I do not know why I am here. It was supposed to be my wife who was invited here. 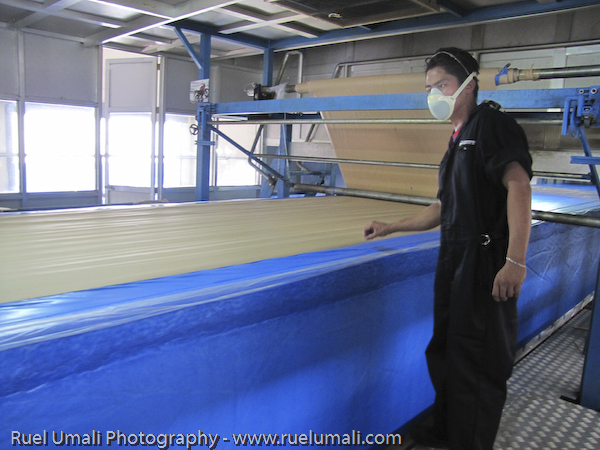 He encouraged me to attend the said Uratex tour and then after that, I will orient her how foams were made through the series of pictures that I captured. She was not available by that time the tour was set-up and me, representing her just made her felt she also got a tour. When I realized at the end, yes, my wife is right. How in the world foams were really made? I have reach in this age and did not know about it. So I was really fortunate to be included. 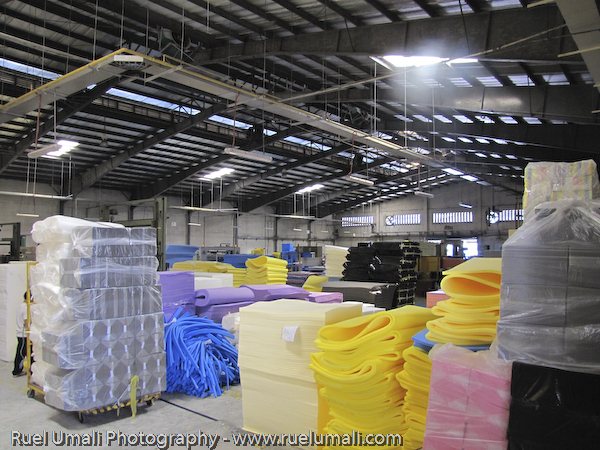 The RGC Group of Companies revolutionized foam making back in 1987 when they set up the first continuous foaming machine in the country called the “Vertifoam” process. 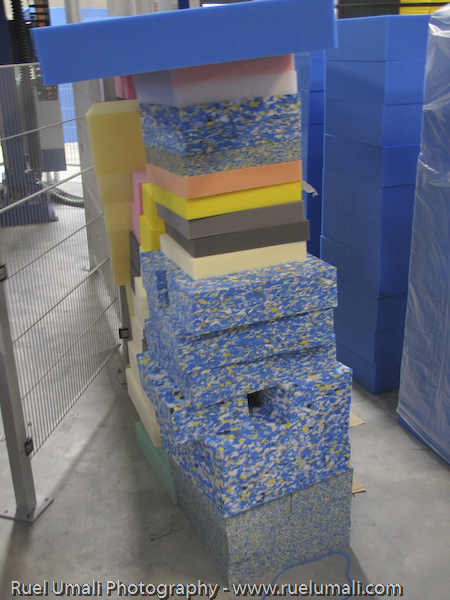 This involves computerized metering of materials to form perfectly-shaped foam with lesser scrap that benefited both the market and the environment because of less wastage. In 2001, the group further blazed the trail in foam-making when it installed new foaming equipment called “Hennecke.” Tagged as the “Mercedes Benz” of the foam-making industry, this German-manufactured equipment is regarded as the best in the world. On December 2009, the RGC Group invested on another Hennecke machine with the latest technological improvements to serve as back-up to the year 2001 version. 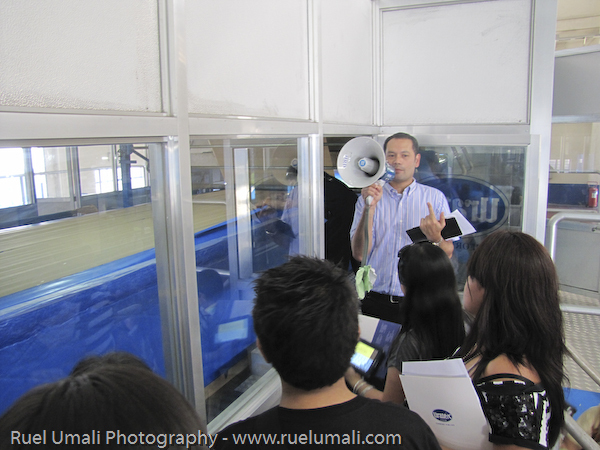 First we were oriented by Mr. Dindo, the General Manager who led us also with the plant tour. We were also given written materials to guide us but I will just simply it. 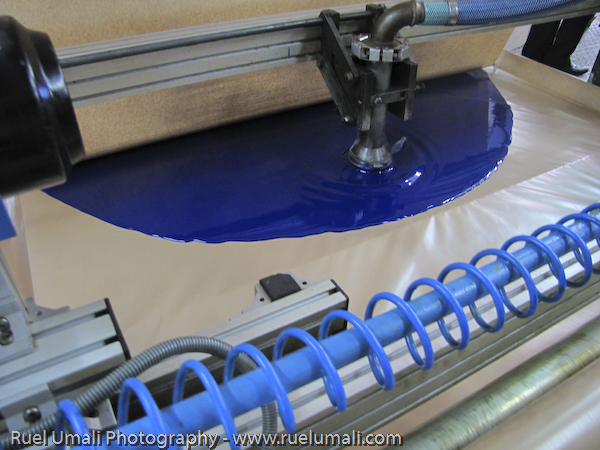 Research and Development – responsible for developing formulation that will result to customers’ need. 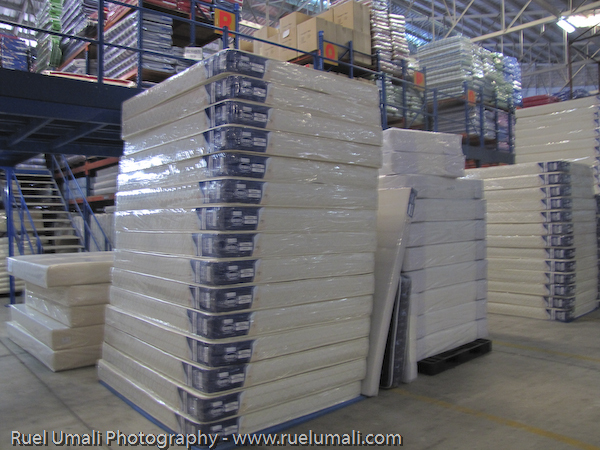 I thought foams were only use for bed. 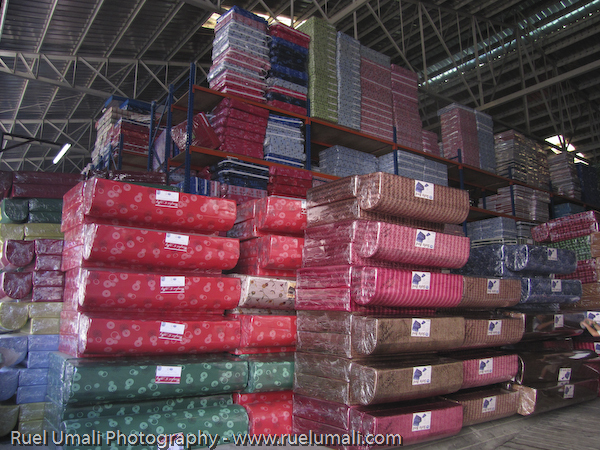 Their products expanded from car seats, footwear, garments and electronics. 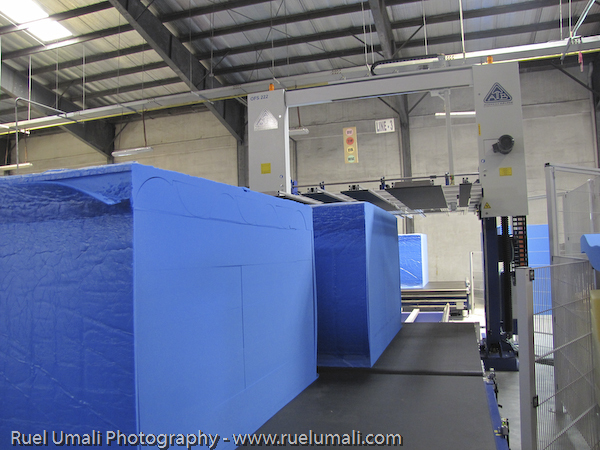 Foaming – once it is finalized, now the production for foam will be ready controlled by machine’s computer system. Liquid will turn into cream, then solid foam. 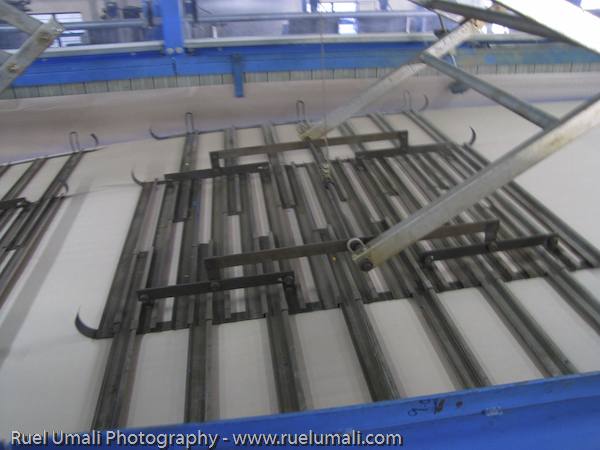 Curing area – long blocks are picked up and transferred to curing area. It will be started to cool down until it is ready for cutting. 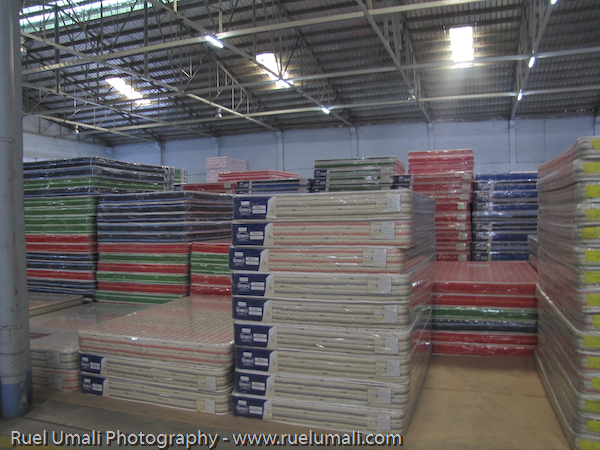 Foam block warehouse – where foams will be stored and from there, the plant’s production department will request for a specific type of block with different sizes as per orders coming from customers. 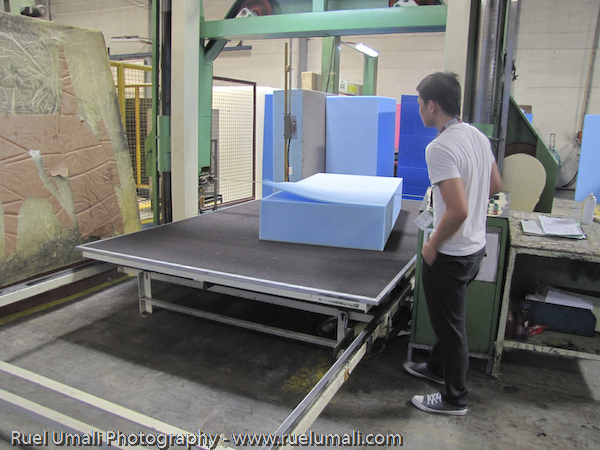 Production area –foam blocks are cut into the requested size and then “contoured” based on the type of product to be produced, whether a pillow, a mattress, or even a car seat foam. 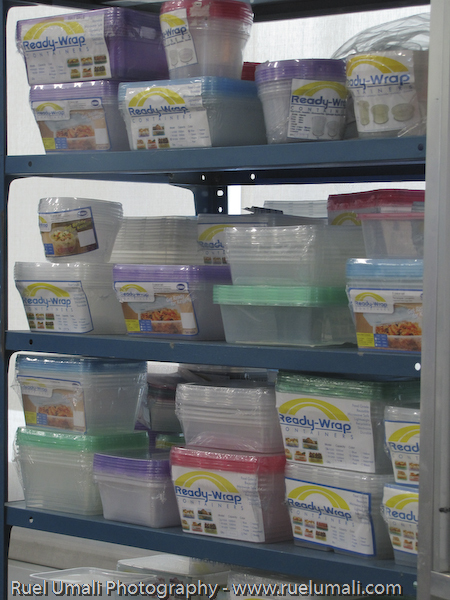 Aside from the foam product, Uratex also got Monoblock’s tables/chairs and Ready-Wrap containers for storing, organizing, preparing and re-heating food hygenically that offer variety of sizes. 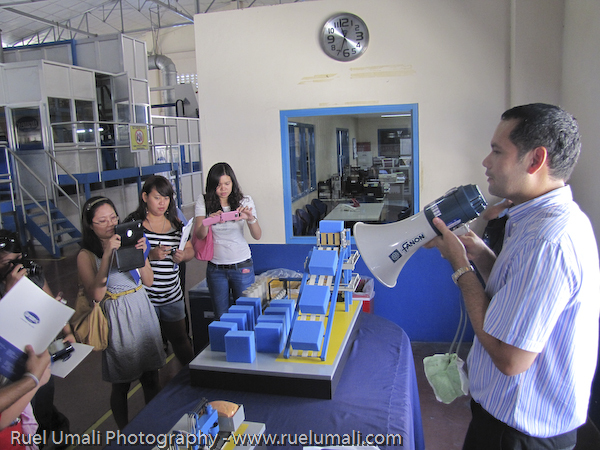 Is it obvious that after the tour we were all enjoyed the Uratex plant tour. Truly, the actual knowledge you gain is a lot! 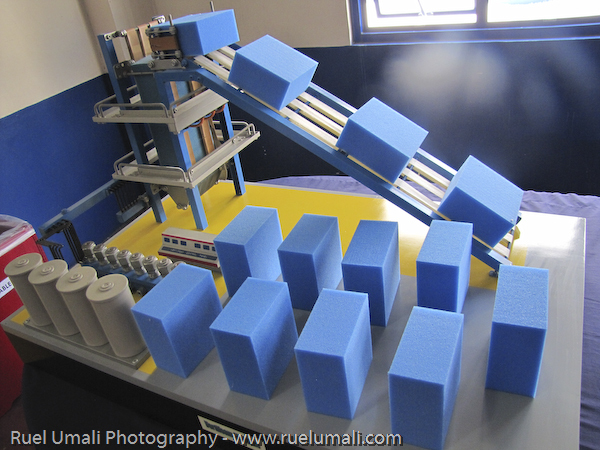 Using those modern high tech state-of-the-art equipment of making a foam is already a worth-while educative escapade! 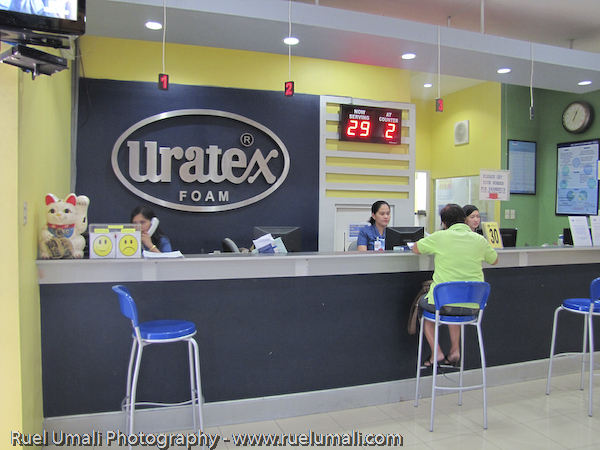 Thanks Uratex for this experience. 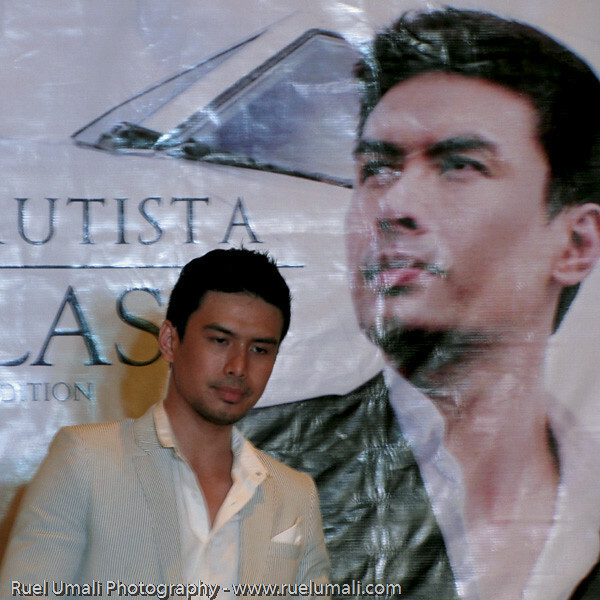 Diamond Asiansation Christian Bautista lauched the release of his highly-anticipated First Class: Outbound Expanded Edition album. The album includes a limited edition coffee table book which also marked his 10th year anniversary in entertainment industry. The album “First Class” includes nine new tracks, five hits from the original Outbound, and new recording of his earlier hits Hands To Heaven and The Way You Look At Me. FREE Christian Bautista “Beautiful To Me” RINGBACK TONE. GLOBE users text UD497 send to 2332. SMART users text FTME send to 2728. 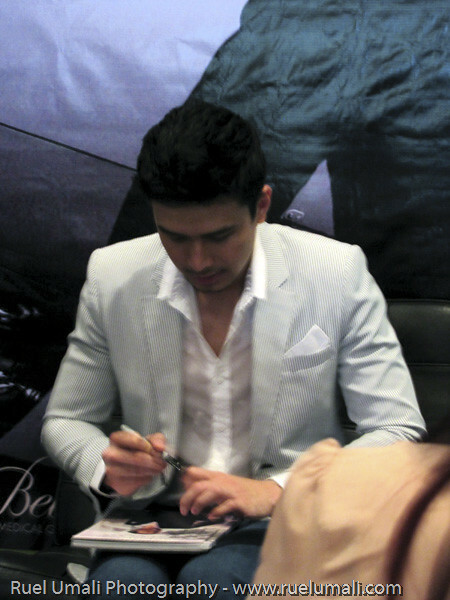 Christian Bautista “Beautiful To Me” RINGBACK TONE for SUN users. P15 for 15 days: Text GetSong 6152015 to 2728. Last February 16, I was invited to attend a press conference about a musical tribute to 16 La Salle martyrs and several Filipinos entitled “A Fire in the Soul: A Cantata”. This is one of the highlights of the year long centennial celebration of De La Salle University (DLSU) in the Philippines. One of the synopsis of the said play, the brothers were warned to leave the whole premises but they opt to stay put and defend the school. 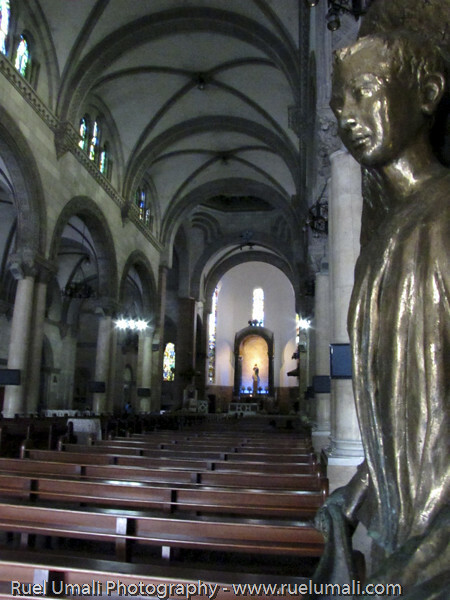 Because of this conviction, 16 brothers and 24 civilians were massacred in the school’s premises on Feb. 12, 1945. When the war commenced, the American Christian Brothers were replaced by the German Christian Brothers who were based in Singapore. In turn, they were expelled from Singapore by the British because the United Kingdom was at war with Germany in Europe. Since Germany was not at war with Japan, this seemed to be a good decision at the time. However, war turns human beings into monsters and as the Americans made their drive towards Manila, the Japanese vented their frustrations on hapless unarmed citizens. Out of the flames of war, heroes are also forged. The play “A Fire in the Soul” will honor these memory, their services to humanity and let them remember them forever that can be an echo to the new generation now. A Fire in the Soul was created by Gabby Fernandez, with a libretto by Vicente Garcia Groyon, and music by Von de Guzman. 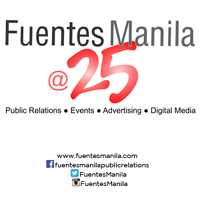 The cast includes: Michael de Mesa, Franco Laurel, Al Gatmaitan, Jonel Mojica, Miguel Castro, Floyd Tena, Naomi Sison, Only Torres, Mazer Salcedo, Gary Fabricante and John Gelbert Arceo. The narrators are Jaime Fabregas, Ricky Gallaga, Conchita Castillo, Dado Jose, Tanya Lopez and Louie Zabaljauregi. Venue: Teresa Yuchengco Auditorium at the 7th Floor of Don Enrique T. Yuchengco Hall of DLSU. Gala show on February 27, 2012 (8pm), orchestra seats are priced at P500 (regular)/ P250 (students) and balcony seats at P250 (regular)/ P200 (students). 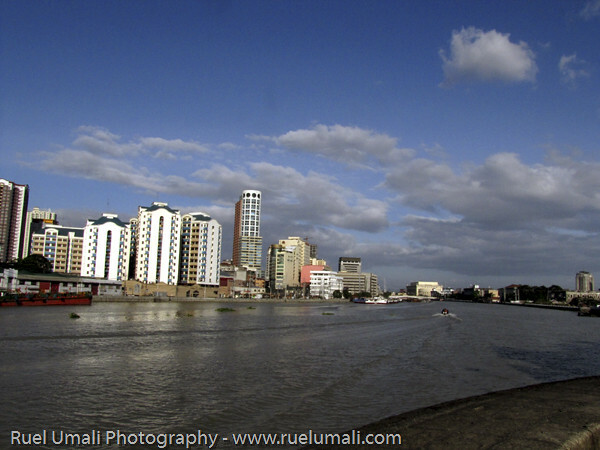 Going back to Intramuros is visiting also a home. 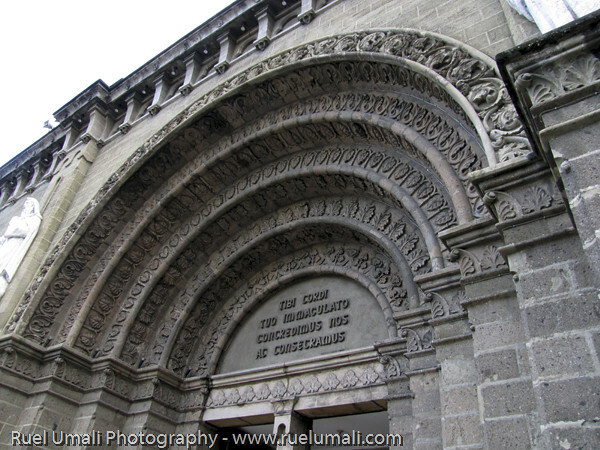 I have spent my high school and college days here in Intramuros way back when I was studying in Letran. 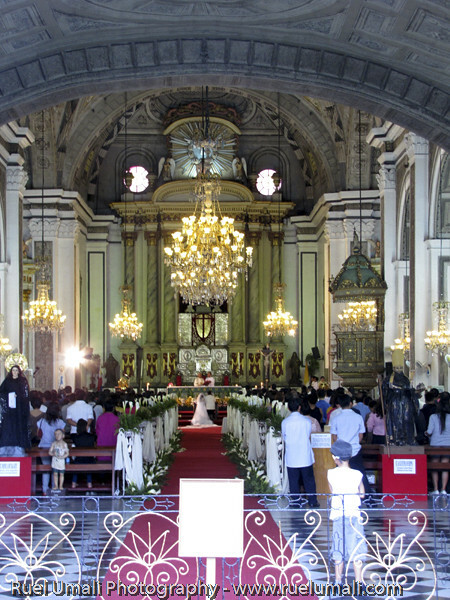 When I found out to my wife that she will have have a tour in Intramuros, I am interested to revisit it again and reminiscence the glimpse on what happen 20 years after I was been. We took our historical tour by riding in a tranvia – some sort of a streetcar during a pre-war era. 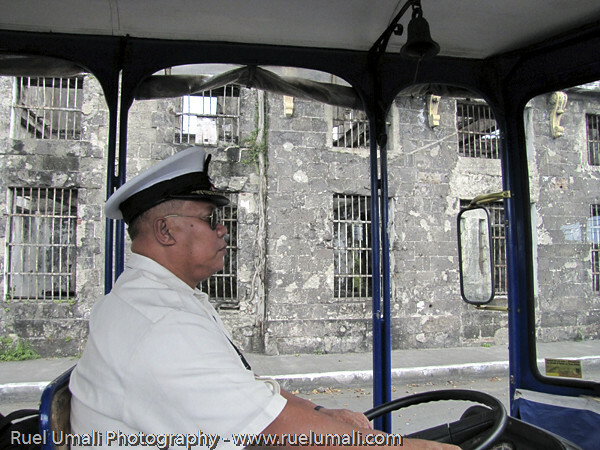 Our first stop was Fort Santiago – oldest Hispanic stone fortress in the country where they still relive the Kalesa riding around which even the drivers are in uniforms. 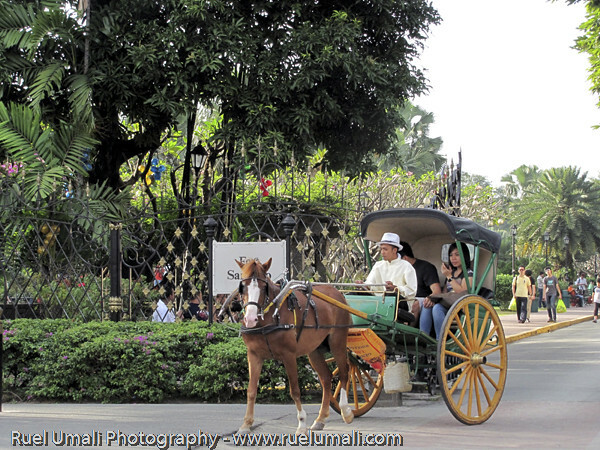 Fort Santiago is also transformed into park with greenery along the area amidst its historic ruins. 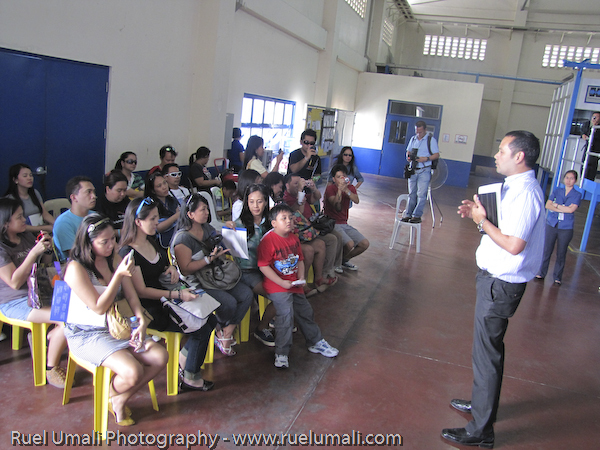 We got a tourist guide – Mr. Jeff Velasco of Mabuhay Guides,which explained more each places that let me appreciate the history of Intramuros. 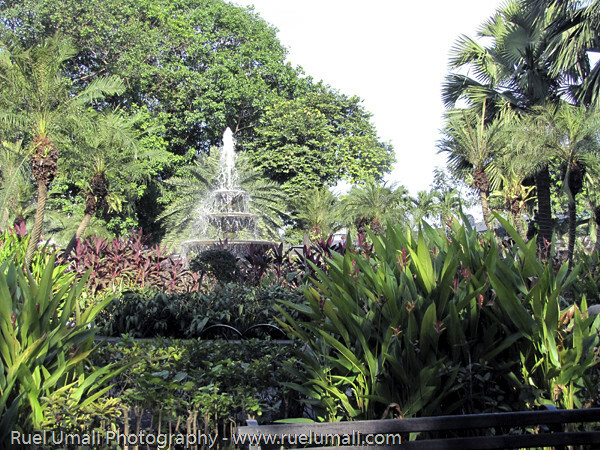 Enter the site which believe to be the fort of Rajah Soliman and was continued to modernized by other governors as their line of defenses. 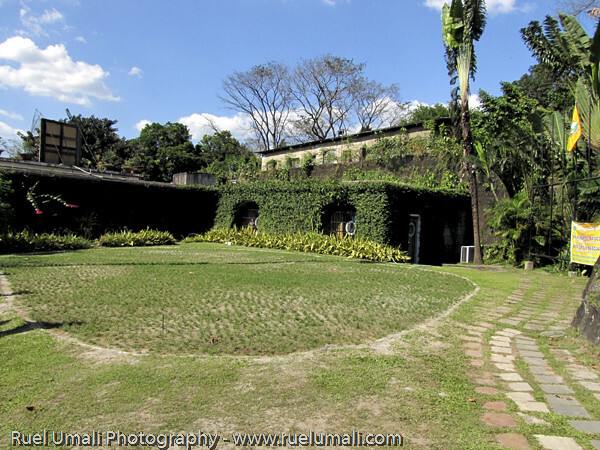 Inside was the Rizal Shrine and Baluarte de Santa Barbara which was reconstructed to give tribute to Dr. Jose Rizal where he was detained during his trial. 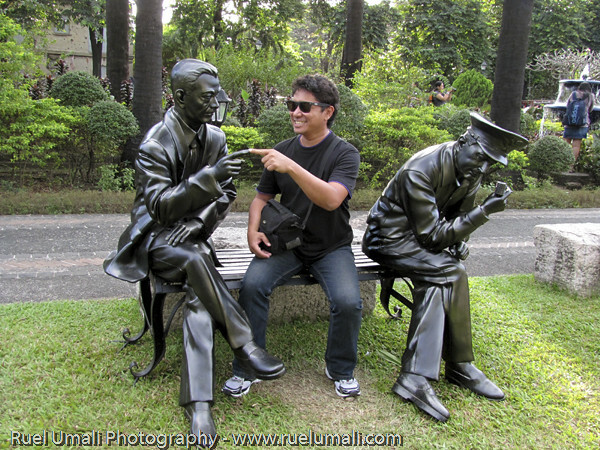 This served also a gathering of Rizal’s collection from his books, furniture and even dresses he used. 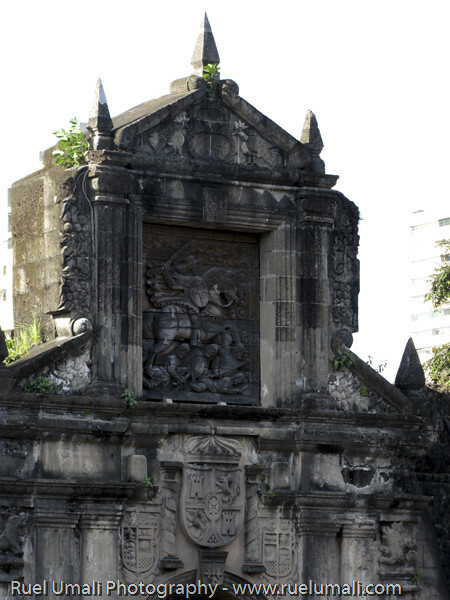 Infront Fort Santiago is the famous Manila Cathedral which was said to be rebuild eight times – from earthquake, typhoons and war just to rise again and again its structure. 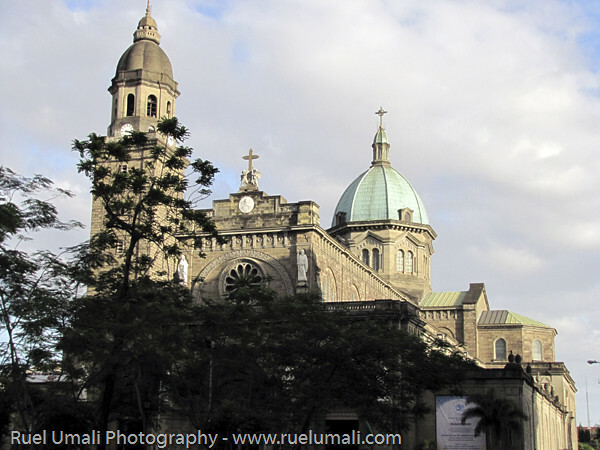 It is officially named Basilica of the Immaculate Conception. 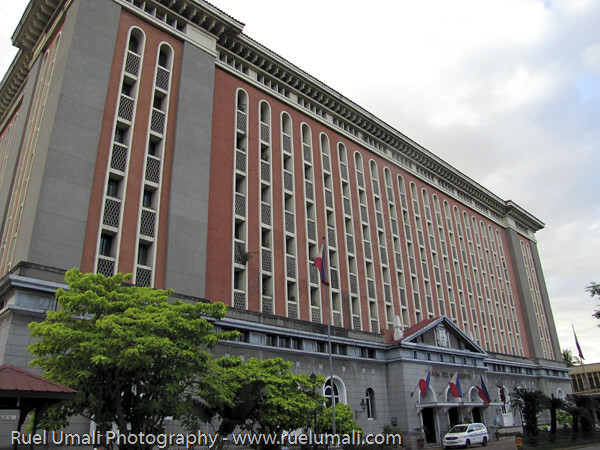 Palacio del Gobernador which said to be state residence of the Governor General of the Philippines and office of the Supreme Court. It also housed shelter to civilians during World War 2. It was reconstructed last 1976 for government offices. 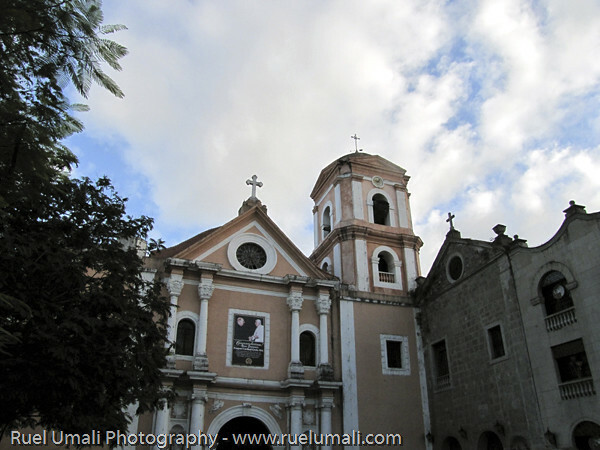 San Agustin Church is the oldest church in the Philippines which was declared by UNESCO World Heritage site in 1994. After our whole day escapade with Intramuros, it is glad to know that our government has the effort to preserve the Walled City and still revive its illustrious structure. It is really nice to come back and return to relive historical value in this present generation. 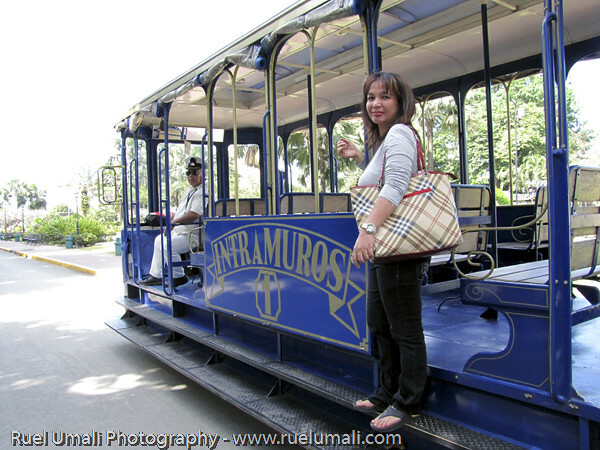 This is a Travel Write-up entry to the Intramuros Bloggers Challenge 2012 organized by IntramurosManila.Asia. 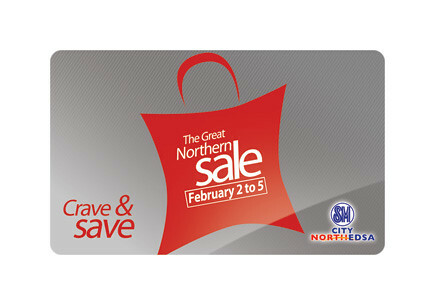 As February opened this month, SM City North Edsa brings your the “GREAT NORTHERN SALE” from Feb 2 to 5! It i not only the month of love but a month to be generous because SM City North Edsa is also giving discounts up to almost 70% off on the original price. 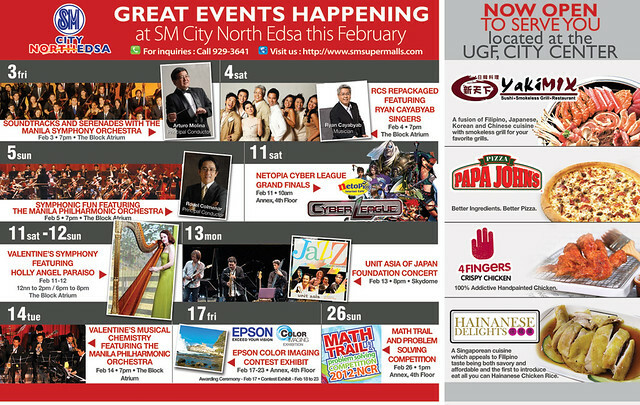 Marked also your calendar for many events happening also this month of February. During this event, you can get one FREE – Crave & Save Card at The Block Redemption Booth 2nd Floor near the Giant Shopping Bag on Feb 2, 2012. The said card entitled you to get freebies and 10% discount on restaurants from February 2 – 5. I am not from the north but was living there before. Most of the relatives especially my parents were just near and sharing this one will give them this benefit to visit SM City North Edsa. 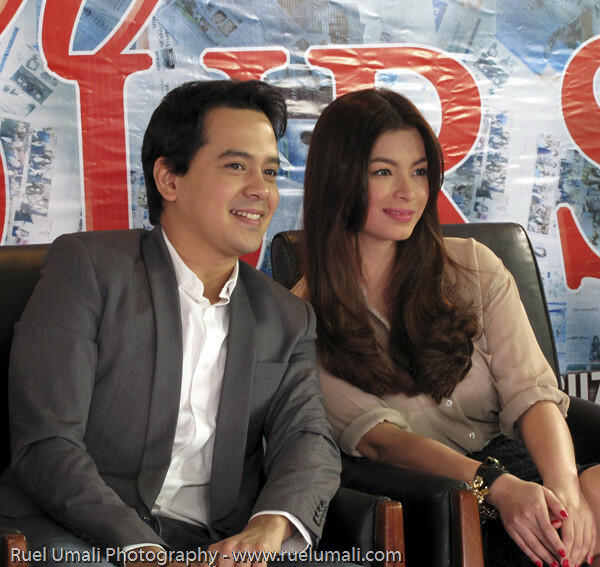 Star Cinema’s offering this Valentine 2012 – Unofficially Yours, a romantic comedy movie which starred by Angel Locsin and John Lloyd Cruz. Unofficially Yours tackled about a relationship that started in a one-night stand. The guy believed in love to be committed and permanent while the girl doesn’t want to fall in love only casual, no ties and only fun. This is a bold step to initiate the theme of the story but a twist to make how beautiful a love can bring to different people with different perspective which is according to their box-office director Cathy Garcia Molina. This is something to watch for! 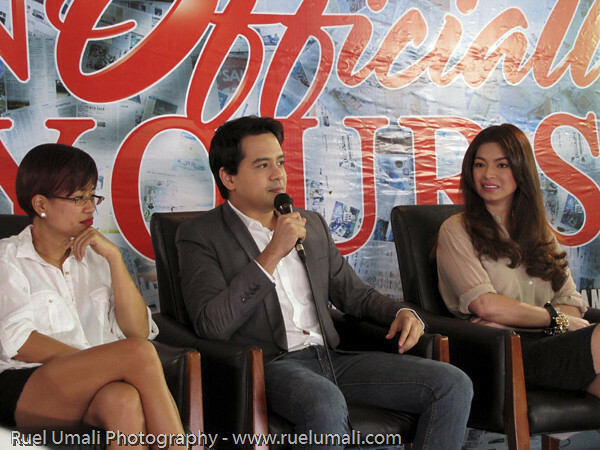 Unofficially Yours opens on February 15, 2012 in over 100 theaters nationwide.